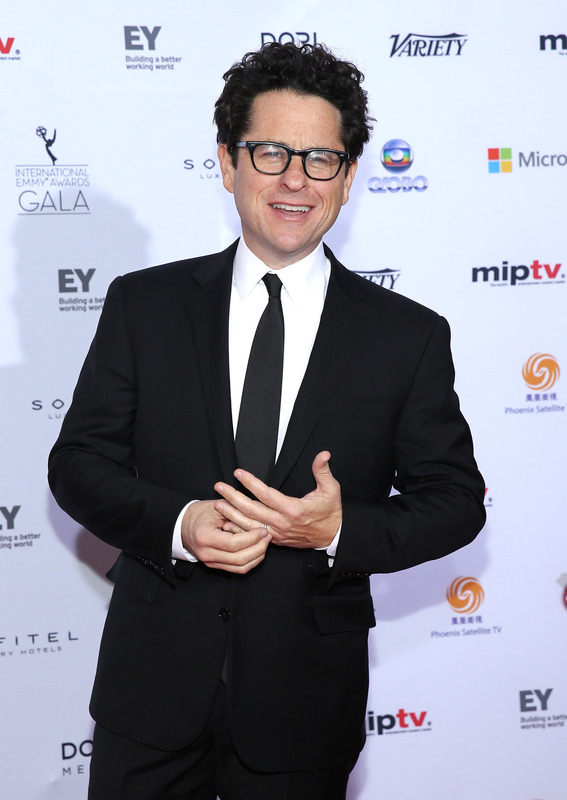 Will These Celebrities Land a Role in J.J. Abrams' 'Star Wars: Episode VII'? Calling all sci-fi junkies. Get pumped, because it looks like more celebrities might be on their way to joining the Star Wars: Episode VII cast. Already, Jesse Plemons has taken the leap through an audition and has plans to meet with director, J.J. Abrams, but now another name has been thrown into the mix. Girls actor Adam Driver has taken a spot among the many possible celebrities who could join the Star Wars franchise. However, he’s not the only one. Although the film staff has been keeping all casting news on the down low, two sources claimed that Weaving could be up for the role as an Imperial commander. For those of you non-Star Wars fans, those are the men dressed in costume akin to military uniform in the movie. Basically, Weaving would play a villain. Yet with his experience in major blockbuster hits such as The Matrix, Transformers, and Lord of the Rings, Weaving should be a shoo-in if he has indeed auditioned for a part in the movie. Despite the circulating rumors, it seems unlikely that Driver would join this project. Star Wars fans have big expectations now that George Lucas passed the creative torch over to Abrams, meaning they need an excellent cast. Yes, Girls is a big hit, but Driver doesn’t have much experience when compared to his fellow actors. The only thing I can say is that actors do need to make their major movie breakthrough somewhere and this could be it for Driver. But I don’t see it happening. Fassbender, known for his roles in movies like Prometheus and X-Men: First Class, knows all too well about what it’s like to star in a sci-fi-fantasy-inspired film. So it would only make sense for him to take his time in the spotlight for the upcoming Star Wars film. The actor reportedly met with Abrams in December to discuss the role. He already auditioned and is off to see Abrams. Plus, there has already been so much talk about how Plemons looks like Mark Hamill’s twin and how he could play Skywalker’s son. But can he really? Known mainly for his TV acting in shows like Friday Night Lights and Breaking Bad, Plemons has only been in a few movies like Battleship, Observe and Report, and Paul. Time to do work, buddy. If Cumberbatch can play the voice of a dragon (Smaug in The Hobbit: The Desolation of Smaug) then he sure as hell can be in Star Wars: Episode VII, right? The actor, who is already well-acquainted with Abrams after his time as Khan in Star Trek Into Darkness, is sure to be a fan favorite if chosen. This past December, he even told Conan O’Brien that he has attempted to put his own name out there for the movie. “I would leave casual messages on his phone as a light saber,” Cumberbatch said, according to the Huffington Post. In addition to this, Cumberbach has starred in films like 12 Years a Slave and War Horse. Not only does he already know Abrams, has starred in a sci-fi movie, but he has also displayed his acting ability in other motion pictures. Winner? I think yes. Everyone is meeting Abrams, and, it turns out many of them have starred in 12 Years a Slave. It’s like they all decided to start a Star Wars club or something. However, Ejiofor, who played the lead as Solomon Northup in 12 Years a Slave, was spotted at Abrams’ office in November. With his talent, it’s possible that Ejiofor could land a role in Abrams’ movie, but he might have to compete with the others. Despite many large roles under his belt, Ejiofor only has Serenity to prove he can take on a sci-fi movie. In October, Jordan wasn’t afraid to admit that he had met with George Lucas and auditioned for an unspecified part in the film. “I mean, everybody’s going in on this project. They’re trying to figure out what they want,” Jordan told People Magazine. “That’s another incredible franchise. It’s pretty crazy!” The Fruitvale Station, Friday Night Lights and The Wire actor will also have some intense opposition, only having Chronicle to help continue his path into the sci-fi movie industry. It seems unlikely that he would land a large role, but it’s possible he could land a small part in the film. Pettyfer? Yes please. Yet as much as I’d love to see that eye candy on the big screen, The Magic Mike and I Am Number Four actor, doesn’t quite seem like a fit for Star Wars among the amazingly long list of male celebrities who are probably auditioning. However, it was rumored that Pettyfer auditioned for the part of Luke Skywalker’s son. Looks-wise I can see it, but will he manage to snag the role? Not so sure. Similarly, Hurd-Wood, the actress from Peter Pan and Dorian Gray, was rumored to have auditioned for the part of Princess Leia’s daughter, according to Metro. Really though, has she been in hiding this whole time? I loved Peter Pan, but she’s going up against the best of the best and will have to step up her game if she wants to make it in this movie. Even Saoirse Ronan missed out on a chance to be in Star Wars. Now that’s saying something. Good luck, Wendy Darling.